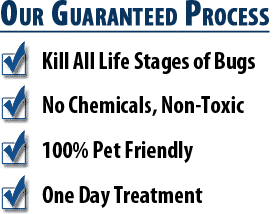 Phoenix Bed Bug Expert offers two different types of treatments – bed bug heat treatment and/or a bed bug chemical treatment. Both are effective and guaranteed to exterminate your bed bugs. 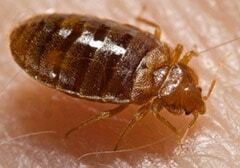 Bed bugs are among the more than 90 species of bugs that feed on warm-blooded living things. They prey on human beings, bats, rodents, and other animals. They need blood to survive so they relentlessly seek for hosts that can keep them nourished. 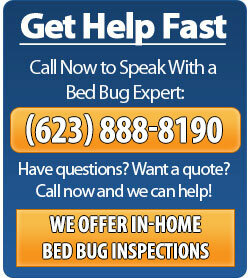 A female bed bug can lay up to 5 eggs in one day. 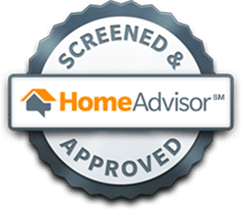 So, in just a few days, a minor bed bug problem can take a 180 and become a serious disaster, which can often lead to a more costly extermination. Their eggs are so tiny that they are almost impossible to see with the naked eye. They can be found in bunches of 10 to 50, deposited in different cracks, crevices, nooks, and crannies. One egg is only twice the size of a grain of salt. Once it hatches, out comes a nymph that is approximately pinhead-sized. An adult bed bug can grow up to a quarter of an inch. Bed bugs have segmented bodies that are covered in golden hairs. They have limbs that enable them to effectively crawl in all directions, whether on horizontal ground or vertical surfaces. They are attracted to carbon dioxide, warmth, and certain types of chemicals, so they latch onto their victims that have all three. Nighttime is when bed bugs’ activity levels reach their peak. It is the perfect time for them to creep onto humans who tend to be asleep during these hours. Bed bug mouths are sharp and can cut through skin. Their saliva contains anticoagulants that can trigger different reactions from their hosts. Humans show varying sensitivities to bed bug bites. Some may not exhibit any kind of reaction at all, while others may end up with something that is extreme and quite serious. Bed bug bites appear on exposed skin, frequently on the neck, arms, face, and hands. They are minute, red spots that are swollen and itchy. Therefore, it is important to check these places out for clusters of these parasites once in a while. Bed bug bites can be quite bothersome. These small, red bumps on the skin do not heal fast and can remain inflamed for many days and weeks. The itchiness is caused by the chemicals present in the insect’s saliva and may persist for an extended period of time. This product works to reduce the swelling and itchiness. It is readily available in pharmacies and drug stores and is reasonably-priced. This can not only lessen the discomfort brought about by the bites, it can also kill off the culprit bacteria behind the itchiness. This can help provide relief from the constant pain and itch of the bed bug bites. 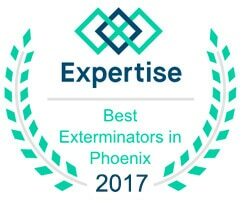 To help you get rid of your bed bug infestations in your property, contact Phoenix Bed Bug Expert for a free estimate.